Would a Dementia Unit Benefit Your Loved One With Alzheimer's? Some long-term care facilities (nursing homes) have a separate part of the building that is designated for residents who have Alzheimer’s and other types of dementia and need special care. These may be referred to as special care units, dementia wings, secure areas, memory loss units, or locked facilities. These special care units should have a clear mission and programming that is structured to meet the needs of residents with dementia. In the past, some facilities would label a part of their facility as a dementia unit or a special care unit as a marketing ploy and not provide care that was any different. Now, many states have laws that require facilities to outline the specific programs and services provided in order to be identified as a special care unit. How Do You Know If Your Loved One Should Be in a Secure Memory Loss Unit? If you have a family member or close friend with dementia and you’re considering nursing home placement, you will have many decisions to make. Among others, you’ll need to determine if your loved one needs, or will benefit from, a special care unit for dementia. Do Dementia Units Actually Make a Difference? The obvious answer is that it depends on the specific dementia unit. Beyond that, research that reviewed 32 different studies of dementia care units concluded that in general, quality of life and functional status were higher in special care units for dementia than in traditional nursing home care. They also found that challenging behaviors were more likely to be present in dementia care units, including a higher level of agitation, depression and anxiety. This may be because families are more likely to pursue facility care if there are challenging behaviors present in dementia. Finally, residents in dementia units were less likely to decline in ADL (activities of daily living) functioning. Does she wander around or try to go outside by herself? Wandering does not always necessitate placement in a locked dementia unit. There are other ways to manage wandering, such as determining the cause and responding appropriately to attempts to wander. You can also employ the use of a special product that can be worn on the person’s wrist or ankle, or placed on their wheelchair, that will sound an alarm when the person moves past the doors. However, if your loved one frequently or persistently wanders, you may want to investigate the option of a secure dementia unit that limits the ability to wander into unsafe areas or outdoors. Would she benefit from activities specifically geared toward the mid-stage of dementia? All licensed nursing homes should have activities for all cognitive levels of residents. However, on a dementia unit, those activities should be specifically geared to people who are in the middle stages of dementia. Would a smaller unit (as most dementia units are) provide a sense of familiarity and security, or would it provoke feelings of confinement and restlessness? You know your family member better than the facility does, so your opinion is valuable. Perhaps your spouse likes to go for long walks every day. If he feels confined, a small unit may increase his agitation. However, if your loved one is a little anxious and easily overwhelmed, a small unit may be reassuring and comforting. Does your loved one display challenging behaviors? She might benefit from interacting with staff that is more specifically trained in caring for those with dementia. All staff in licensed nursing homes receive training on interacting with residents who have dementia, but often the staff on a specialized dementia unit receive additional training in this area. Staff on dementia units are sometimes rotated less frequently throughout the facility so that consistent caregivers know those residents well. A familiar face can help calm and reassure those residents who are confused or anxious. 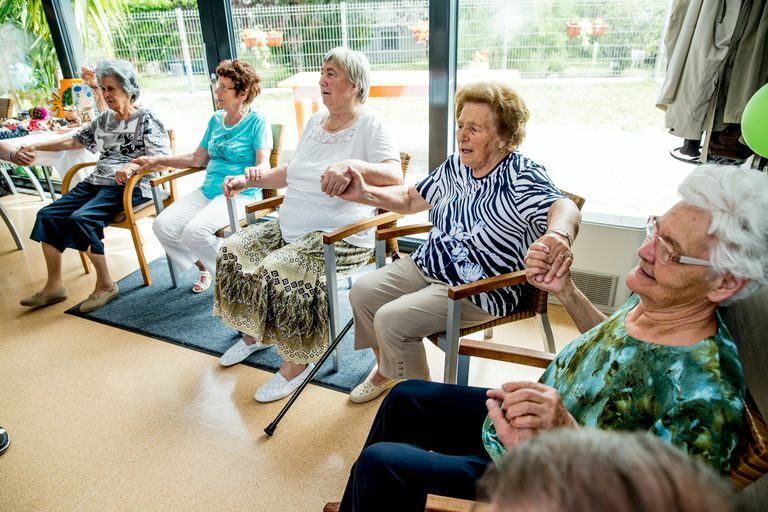 While special facilities that are designed for memory loss care can better handle some behaviors such as wandering or resistiveness to care, the facility must ensure the safety of each resident. Dementia units are not designed to handle people who are physically out of control or who present a danger to themselves or the other residents. What Is the Cost of the Dementia Unit? Some special care units charge more to care for its residents than the “regular” area of the nursing home. Ask what the costs are for each section of the nursing home so that you can make an informed decision. While many dementia care units do benefit persons living with dementia, they vary, and the most important one for you is the facility you're considering for your loved one. Make sure you spend time at this facility to ask questions and get a feel for the culture and the care there. Ask about their philosophy of care and speak with others who live there or have had loved ones live there to get a first-hand view of the staff and the care provided. Alzheimer’s Association. Special Care Units. Kok, J., Berg, I. and Scherder, E. (2013). Special Care Units and Traditional Care in Dementia: Relationship with Behavior, Cognition, Functional Status and Quality of Life - A Review. Dementia and Geriatric Cognitive Disorders Extra, 3(1), pp.360-375.